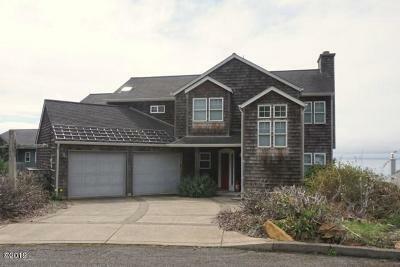 Incredible and unique, panoramic ocean views from this 3 bedroom/2.5 bathroom, 2 car garage home in Roads End! High end features include grand fireplace, hard wood and slate flooring, elevator, hard surface counters, custom cabinets and built ins for lots of storage and two spacious ocean view decks for entertaining. Just a short distance to beach access and miles of sandy beach, shopping, entertainment and dining.